Today some people allow advertisers to emblazon the outside of their cars with photos and logos, for a fee. 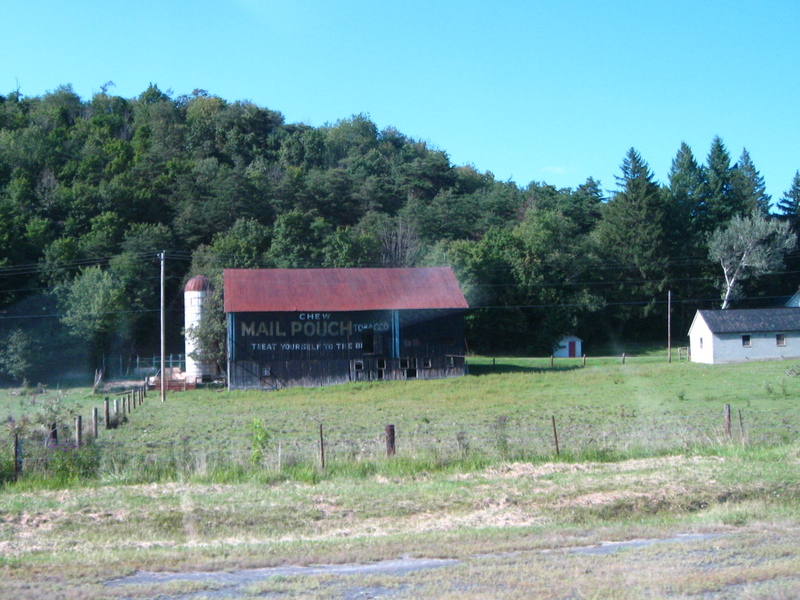 In the first half of the last century, however, farmers would allow companies to paint their advertisements on the sides of their barns. Without billboards, it was the best and most high-visibility method to make their products known in rural areas. Mail Pouch Chewing Tobacco advertisements have adorned the sides of a number of barns along the road I have been taking to my grandparents’ house since I was a kid, but not this is the only one I have seen which is still visible from the road that isn’t falling down or completely hidden by new-growth trees. A little piece of Americana, and when the last of these disused barns falls in, it, too, will disappear. This entry was posted in American Snapshots. Bookmark the permalink.